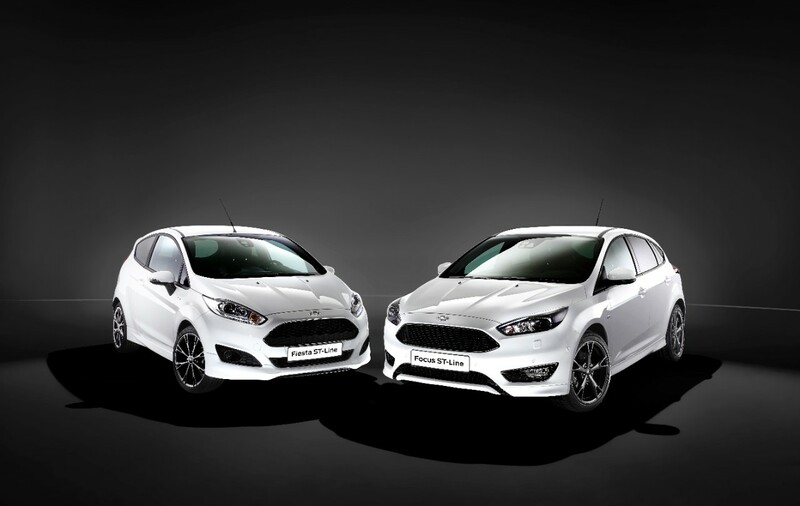 It may well be that Ford Europe has achieved some level of sales success offering special appearance editions of its passenger vehicles over the past months: cars like the Ford Fiesta Zetec Black and White editions, and the Ford Focus Zetec S. Perhaps that’s why the regional Ford division is introducing a new “ST-Line” of sporty-looking models. 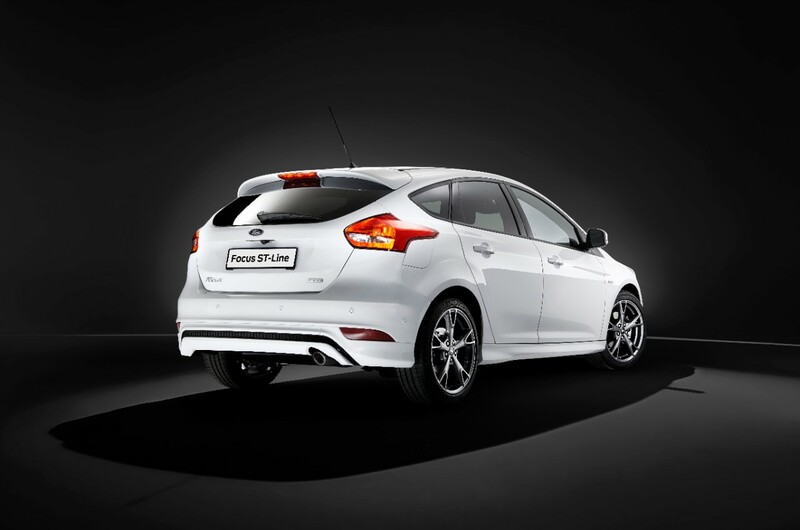 Earlier in the day, we introduced you to the new ST-Line version of the Ford Focus. 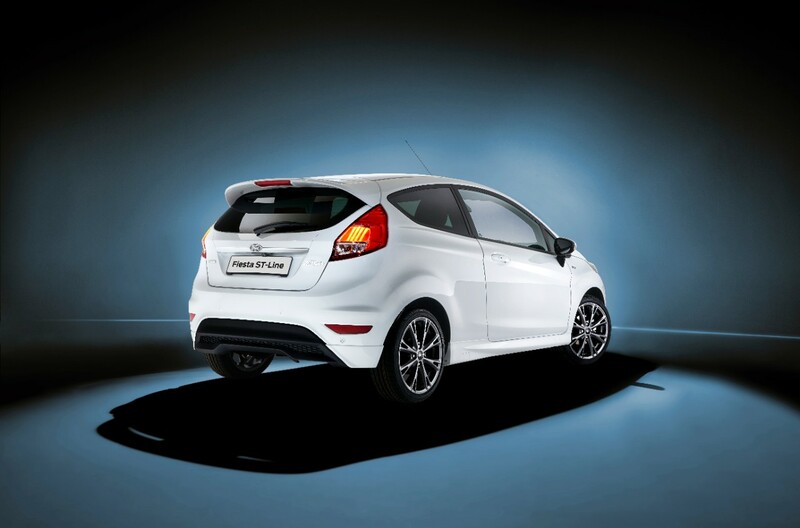 Now, it’s time to say “hello” to its smaller sibling: the Ford Fiesta ST-Line. Ford Europe says that the new ST-Line of models has been created for customers who want the sporty appearance of the lauded ST-badged Focus and Fiesta, but don’t necessarily need the full performance capabilities. 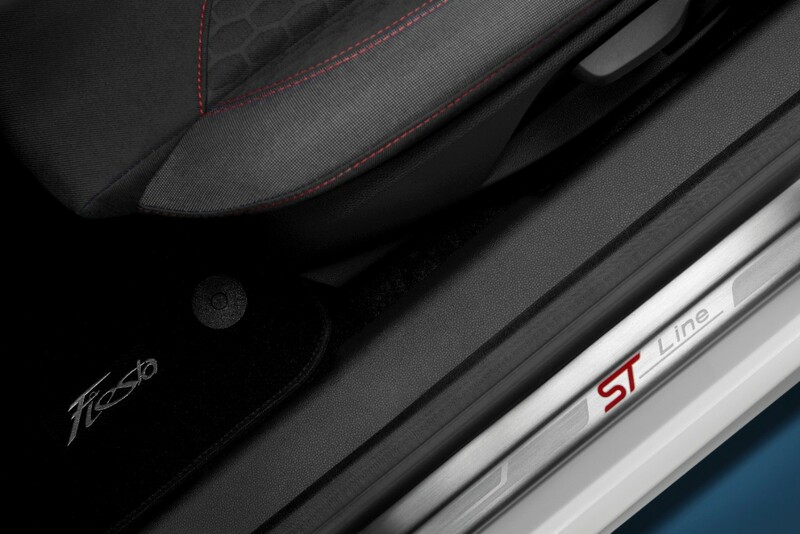 As such, the 197-horsepower, 1.6-liter EcoBoost I4 and 6-speed manual transmission that ship with the regular Fiesta ST aren’t available in the Fiesta ST-Line. Despite the rather pedestrian range of powertrain options, the Ford Fiesta ST-Line still does manage to offer some performance advantage over the regular hatchback by boasting a “sport” suspension setup with a 10mm-lower ride height. 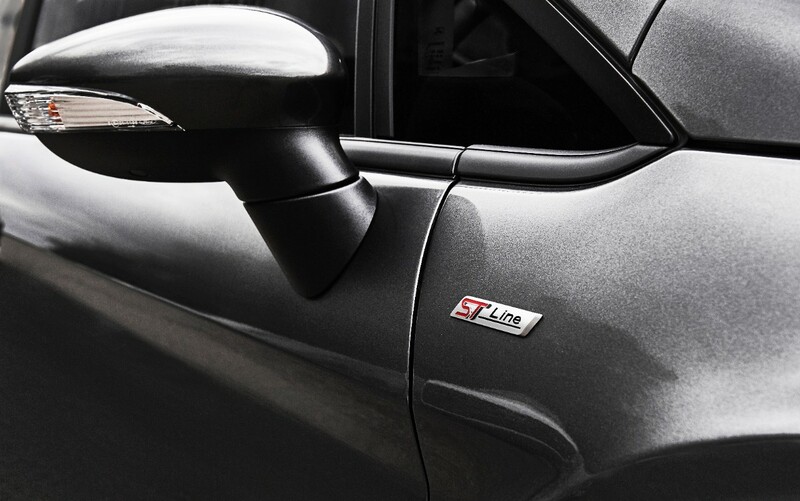 As for appearances, it borrows extensively from the regular Ford Fiesta ST, incorporating a honeycomb grille pattern, front chin spoiler, a roof spoiler and diffuser in the rear, and unique, 16-inch alloy wheels in Rock Metallic Gray. 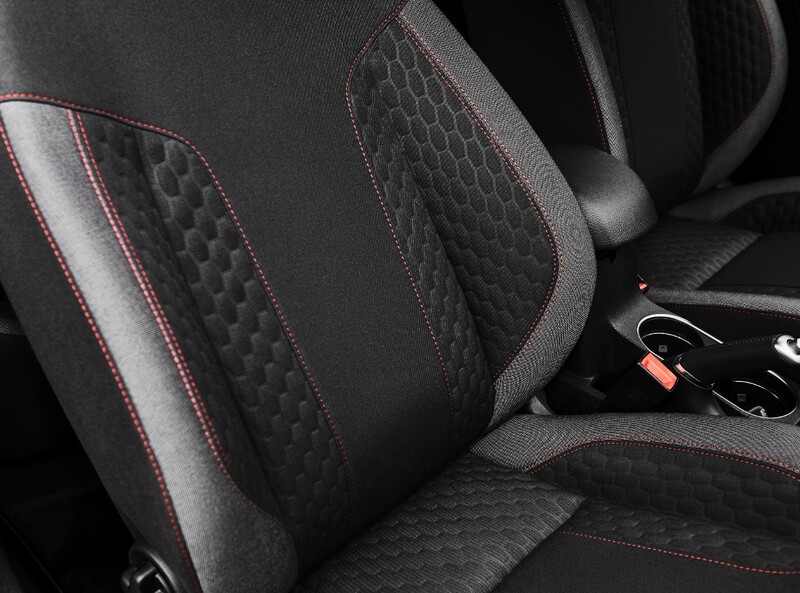 Inside, the ST-mimicry continues, with red-stitched sport seats, an ST-style steering wheel and gear shifter, and special “ST-Line” scuff plates.